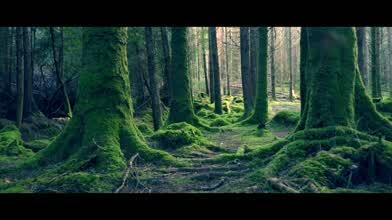 Ireland was once a land of dense forests, which covered the entire island. Human inhabitation has destroyed 99% of the island's forest cover, but the bits that remain continue to hold great appeal to natives and foreign visitors alike. In this video, Ashville Aerial flies a drone through one of these (as the title suggests) mystical forests. The footage is absolutely mesmerizing; one expects a leprechaun to jump out from behind the trees at any moment. Description: During my adventure in Ireland, I stop on this woods and I think I saw a fairy fly by.